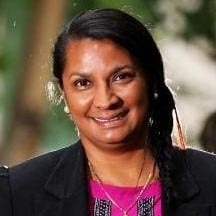 A descendent of the Meriam people from the Torres Strait, she has a Doctorate in Human Ecology and a degree in Social Work. Professor Arabena is the Executive Director and Lead Investigator on the First 1000 Days Australia, an intervention based pre-birth multigenerational cohort study designed with and for Aboriginal and Torres Strait Islander families. The model aims to provide a coordinated, comprehensive strategy to strengthen Aboriginal and Torres Strait Islander families, so they can address their children’s needs from pre‐conception to two years of age, thereby laying the best foundation for their future health and wellbeing. Economic Board of Development. She is an author and business owner; a mother and a grandmother with interests in achieving equity for all Australians. Over the past three decades, barely a year has passed where Nova Peris has not displayed excellence in some area of her life. Certainly, she has seldom stood still, always determined to educate and re-educate, in order to give herself the best possible opportunity to not only develop her own prospects in life, but, equally as importantly, those of her people throughout Australia and the Torres Strait Islands. Whether in sport, federal politics, or any number of former and current work environments, Nova has remained at the forefront of the conversation for the best part of 30 years. Indeed, she has led the conversation! Nova was a trailblazer in her sporting pursuits, competing at Olympic level in two sports while juggling the demanding role of being a young mother. Then, post her sporting career, she smashed through another glass ceiling by becoming the first Aboriginal woman elected to Federal Parliament. Since the mid-1990s, she has spoken regularly on the plights facing Aboriginal people and has visited hundreds of communities throughout Australia to gain as much of an insight as possible into the issues facing people from all walks of life. Utilising the significant platform of Federal Parliament, in particular, Nova has given a voice to thousands of people who otherwise go unheard. She has undoubtedly made an enormously positive and life-changing impact on young Aboriginal people, not just through her words but also her actions. Her ability to be able to speak equally with people from all socioeconomic backgrounds gives Nova a unique approachability and relatability that sets her apart from many with similar platforms and responsibilities. Nova is certainly an inspirational and brilliant role model for Aboriginal and Torres Strait Islander people. Professor Calma is an Aboriginal Elder from the Kungarakan (Koong ara kun) tribal group and a member of the Iwaidja (Ee wad ja) tribal group whose traditional lands are south west of Darwin and on the Cobourg Peninsula in the Northern Territory of Australia, respectively. He has been involved in Indigenous affairs at a local, community, state, national and international level and worked in the public sector for over 40 years and is currently on a number of boards and committees focussing on rural and remote Australia, health, education, justice reinvestment, research, leadership, reconciliation and economic development. 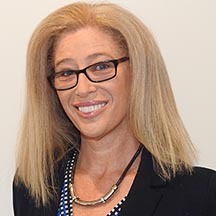 Professor Calma was the Aboriginal and Torres Strait Islander Social Justice Commissioner at the Australian Human Rights Commission from 2004 to 2010. He also served as Race Discrimination Commissioner from 2004 until 2009. 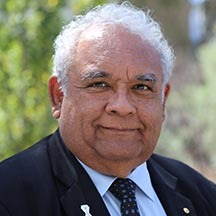 Through his 2005 Social Justice Report, Professor Calma called for the life expectancy gap between Indigenous and non-Indigenous people to be closed within a generation and advocated embedding a social determinants philosophy into public policy around health, education and employment in order to address Indigenous inequality gaps. This spearheaded the Close the Gap for Indigenous Health Equality Campaign resulting in COAG’s Closing the Gap response in December 2007. Professor Calma has since 2010 held the position of National Coordinator Tackling Indigenous Smoking (0.5) and he was appointed a Professor (0.5) at the University of Sydney Medical School from 1 January 2015 to perform the role of Chair and Patron of the Poche Indigenous Health Network. He has many awards including being named by Australian Doctor Magazine (2010) as one of the 50 Most Influential People in medicine in Australia, Indigenous Allied Health Australia’s Lifetime Achievement Award 2014 in recognition of his lifelong dedication to improving the lives of Indigenous Australians and the Public Health Association of Australia’s pre-eminent Sidney Sax Public Health Medal (2015) for notable contribution to the protection and promotion of public health, advancing community awareness of public health measures and advancing the ideals and practice of equity in the provision of health care. Professor Calma will deliver the Dinner Speech where he will discuss the Closing the Gap Campaign.